5-speed / spirited driving style but no racing. Hi, I have not had an RMS issue, yet. I've clocked about 10K miles so far. 2000 Boxster S, 6-speed, purchased used 9/03 with 19,000 miles. 1st RMS leak at 21,000, 2nd one at 42,000. Seems to be a pattern here? Not driven on track, but given a work out on occasion. bought the dreaded 99 model year w 17k on it. drove it til it had 34k. never leaked. it never leaked or blew an engine. maybe the previous owner had that experience but not me. so official no. 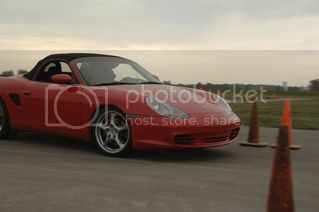 2.5 boxster. 68000miles. a few coolent problems but no RMS yet. I was told that if your car is over 50000 miles you are less likely to suffer from engine disaster as this only affected late 98 and early 99 boxsters. No issues yet on my 2001 S...............touch wood!!!!!!!!!!!!! i think u mean "knock on wood". "touch wood" is something i say before a girl slaps me. In the UK, the expression to describe one's not tempting Fate is Touch Wood, while here in the US, we say Knock on Wood. Bought the 97 Boxster with 45K on it. Drove it for 10K and I had the following problems. Replaced mass air fuel sensor (MAF). Replaced pressure value for cooling system. To much headache. Trade in this car for a 987 …. Last edited by franz229; 06-13-2006 at 02:57 PM. 986 S 34000 kms. No RMS Leaks, and no car problems at all. Serviced by myself driven briskly at times. Never ever rev engine above 3000 RPM or heavilly load until warm. Never do drag race type clutch dumps. Service intervals and oil as per manual. Car is beautifully engineered but consistant heavy handed treatment will break any car, even one designed with track use in mind. I just recently purhased my 00 box s with 54k. I took it in @55k to make sure everything was ok and do 60k service. My tech said my motor was suprisingly dry and very solid. This pleased me of coarse because it sounds like others are not so fortunate. currently 56k and ok.
4" crack inside windshield header. not visible from the outside. Hoping I never have to fix it. Last edited by Norminhouston; 07-24-2006 at 12:26 PM. Was under mine this weekend doing oil, transmission, and brake fluid changes. Dry and looking good at 38,000 miles. Mine is dry so far. '03 2.7 27000kms. not overly punished, always serviced. Jack shaft bearing failed, engine is in process of being replaced under extended waranty--thank God!!! Guess who will keep that running from now on? Glenn -- from "Down Under"
03 S with 17k miles. No leaks or anything. I was amazed after reading my bentley shop manual the improvements Porsche made to the 986 over its 7 yr run. The 03/04's seem to have the issues/bugs worked out. Last edited by Adam; 08-17-2006 at 09:57 PM. 2002 S, 12,000 miles, no mods, only change the oil so far. Week end car.